Art Intersection presents Light Sensitive, our ninth-annual, international juried exhibition of images created using traditional darkroom and historical and alternative photographic processes and methods. In the current trend of imagery presented on computer screens and the overwhelming volume of digitally printed pictures, Light Sensitive reaffirms and promotes the art of handcrafted prints that uniquely belong to the tradition of light sensitive creative processes. Art Intersection will pay return postage for individuals receiving one of the above awards and honorable mentions. Process include, but are not limited, to the following: silver gelatin prints, albumen, anthotype, argyrotype, athenatype, Bayard direct positive, calotype, carbon, casein, chrysotype, cyanotype, dusting-on process, gum bichromate, gumoil, Herschel’s breath printing, photopolymer gravure, Ivorytype, kallitype, mordançage, platinum/palladium, printing-out-paper, solarplate intaglio, van dyke brown, wet plate collodion, whey process, Ziatype, combinations of any of these processes, and all photographically based image-making techniques that incorporate traditional studio-based mediums such as printmaking, ceramics, or painting. March 16 – Light Sensitive Reception from 5 – 7pm, please join us! 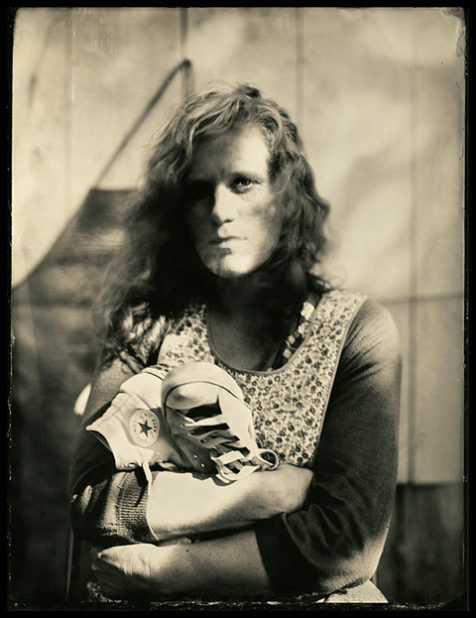 Christopher James is an internationally known artist and photographer whose photographs, paintings, and alternative process printmaking have been exhibited in galleries and museums in this country and abroad. His work has been published and shown extensively, including exhibitions in the Museum of Modern Art, Metropolitan Museum of Art, George Eastman House, Philadelphia Museum of Art and the Institute of Contemporary Art-Boston. Represented by the Lee Witkin Gallery in New York City for over two decades he has also shown at Pace-McGill (NYC), Contrasts Gallery (London), Michelle Chomette (Paris), Hartje Gallery (Berlin), and Photokina (Germany). 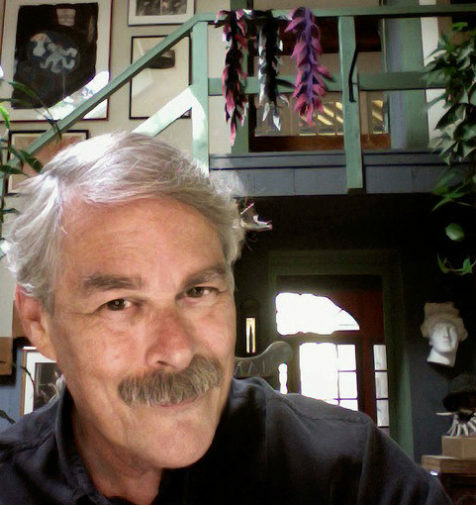 He has published extensively including Aperture, Camera (Switzerland), American Photographer, Solstice (for short fiction), and Interview magazine and in books such as The Antiquarian Avant Garde, á Prova de Aguà: Waterproof, Human Documents, and Handcrafted: The Art and Practice of the Handmade Print (China). All three editions of his book, The Book of Alternative Photographic Processes, have received international critical acclaim and are universally recognized by artists, curators, historians, and educators as the definitive text in the genre of alternative process photography and photographically integrated media. A significantly expanded 900 page / 700 image, 3rd edition was published in 2015. You can view images from Light Sensitive 2018 by clicking here.